si d'aucuns avaient encore quelques doutes sur la nature fréquentielle donc vibratoire du vivant et donc de ce qu'on appelle matière (ou champ de densification énergétique) qui lui sert de support. grand nombre de vaccins en France. dans un rapport publié jeudi. moratoire, en application du principe de précaution. être fournie à ce jour. inférieure à la dose de sécurité minimale définie pour l'alimentation. neurologiques ou auto-immunes imputées aux sels d'aluminium. Les adjuvants ont pour rôle de stimuler les mécanismes immunitaires. which is widely used in consumer products. diagnosed with meningioma compared to those with lower concentrations. with meningioma. More research is needed to confirm the findings. devises à retenir : 2-mettre les pieds dans un magasin ou supermarché c'est entrer dans suicide-center . stay there without doing any physical activity for as long as you want). lorcaserin developed by Switzerland-based Arena Pharmaceuticals. weight-related health problem could be prescribed Belviq by physicians. "Obesity threatens the overall wellbeing of patients and is a major public health concern,"
dismissed the following year, Duke University Professor Dr. Pamela S.
US National Library of Medicine agrees can be “potentially life-threatening” and can cause reactions that include, but are not limited to, diarrhea, hallucinations and overactive reflexes. to approve the pill, siding that the drug’s benefits “outweigh the potential risks when used long term,” reports CBS News. total body weight and increases muscle mass. Le distillateur d´eau et ses surprises. according to the researchers, which may be one of many. donor were inserted into the women’s eggs before they were fertilized. extra genes through the genetic modification process, they will now be able to pass them along to their offspring. In other words, these genetically modified babies — if allowed to mate with non-GM humans — could potentially alter the very genetic coding of generations to come. researched the concept of engineering a mouse with human brain cells. underlying causative factors. Although we do not have definitive "proof"
been linked to an increased risk of dementia, and we know enough about those to in turn make educated recommendations for preventing this type of brain deterioration. warning of the dangers of fructose. minimizing sugar and grains and exercising regularly. Elevated uric acid levels: fructose is one of the primary factors that drives up uric acid, which is another reason to avoid excess sugar. Heart disease and atrial fibrillationiv: If you have "atrial fib," you are 44 percent more likely to develop dementia. involved loss of consciousness—so keep your seat belt fastened. impairment. Regularly taking two of these drugs further increased the risk. combat the brain inflammation seen in dementia patients. combination for Alzheimer's patients.Vitamin D can also fight depression, which is experienced frequently by people with dementia. itamin B deficiencies: Elevated homocysteine levels due to vitamin B6, B12 and folate deficiencies; according to a small Finnish study recently published in the Journal Neurologyviii, people who consume foods rich in B12 may reduce their risk of Alzheimer's in their later years. Vitamin E deficiencyix: A 2008 study showed that Alzheimer's patients who took 2,000 IU of vitamin E daily showed a 26 percent lower mortality rate. noting for their specific benefits in preventing and treating dementia. oil, Gingko biloba, and alpha lipoic acid. patients affected by diabetes or Alzheimer's. long been used medicinally in China and other countries. then has been equally promising. dementia. A 2010 meta-analysisxi found Gingko biloba to be effective for a variety of types of dementia. Un fermier a guéri son élevage de porcs malades en supprimant leur bourriture de soja OGM par de la nourriture normale . Messieurs les putes-scientistes vous ne rendez pas honneur à l'humanité. Si l'on veut que ça s'arrête il suffit d'exiger de ne plus consommer ses poisons CACHES dans nos aliments. modified (GM) ingredients from their diet. from Pederson, published online by GM Watch . tissue may also be a contributing factor (see Emergency! 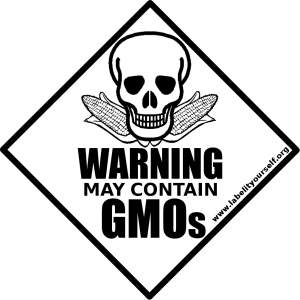 Pathogen New to Science Found in Roundup Ready GM Crops?,SiS50). impossible to find sows that could nurse piglets. milking better and eating more. and 1.6 stillborn averaged over the past 7 months. disappeared with the changed diet — were due to clostridia bacteria”. most of them live born”. an extra £55 per sow. to be one of the major concerns. effects of glyphosate-tolerant crop technologies. You can rid you body of most fluorides with some easy natural remedies. health issues. First a quick review summary of fluoride. issues as sodium fluoride, which is added to many water supplies. capacity to combine and increase the potency of other toxic materials. supplies is also already contaminated with lead, aluminum, and cadmium. down” with lower IQ’s and Alzheimer’s effects of fluoride. upper chakras or third eye for spiritual and intuitive openings. As always, the first step in detoxifying is to curb taking in toxins. communities is a good start to slowing down your fluoride contamination. your body can begin eliminating the fluorides in your system slowly. your cells, it also inhibits the absorption of fluoride into your cells! from your bones and teeth, allowing your body to eliminate those toxins. reference to sunlight for decalcifying the pineal gland was inaccurate. research indicates the critic is correct! all contribute to higher melatonin production from the pineal gland. the pineal gland. But it does seem logical that it might. urine irrigation of sodium fluoride from the body as calcium fluoride. an adjunct to using iodine for excreting fluorides. are highly recommended over sea food by most. instructions for both can be found on line with search engine inquiries. to be taken in with pure water in small quantities. food grade version with sodium borate, if you can find it. this protocol for fluoride detoxification. rest, and the detox should be relatively smooth. Chelation therapies are recommended primarily for heavy metal removals. chellation therapy with which you are familiar. Diméthylfumarate». Depuis 2009, cette substance chimique n'est plus autorisée dans l'Union européenne comme fongicide. Mais, ce produit hautement allergisant, est présent dans nombre de vêtements et objets chinois. Ainsi les chaussures made in china ont occasionné des maladies consécutives à la présence de cet anti-moisissure, notamment des réactions cutanées et paralysies musculaires. Sur le continent asiatique, le chrome, les pigments et le chlore font aussi beaucoup de victimes dans les tanneries. Mais les travailleurs du textile européens font aussi les frais de l'utilisation d'éléments dangereux. Frauke Driessen, repasseuse de jeans pour une grande marque de vêtements, est tombée malade à cause de la présence de dichlorométhane, un composé chimique cancérigène, dans son usine. Une étude de l' Inra ou l'inserm (je l'ai dans mes cartons et pas le temps de chercher ... ) révèle que 40% de la population est allergique au soja à des degrés + ou - divers et + ou - visibles (symptômes) . Le soja (entre autre) est une hormone like œstrogène féminisante c'est d'ailleurs pour cela que certaines ménopausées se gavent de soja. Quand aux hommes qui restent encore dois-je vous faire un dessin ? En ce qui me concerne le soja est banni de mon alimentation personnelle. attention pas le soja "fermenté" ou les jeunes pousses (les vraies chez vous pas les fausses vendues en magasin) . A baby fed soy-based formula receives the equivalent of five birth control pills' worth of estrogen every day! NB NOTEZ que ce site qui a publié cette étude est clos ... Les 2 auteurs sont MORTS assassinés . James were both killed at the same time, but I have yet to find out how. tradition in their diet at these levels or the current forms. "Soy milk"
go look up the Semmelweis Reflex. There's plenty yet that you didn't know about soy! Soy contains several naturally occurring compounds that are toxic to humans and animals. The soy industry frequently refers to these toxins as anti-nutrients, which implies that they somehow act to prevent the body getting the complete nutrition it needs from a food. The soy toxins (such as phytic acid) can certainly act in this manner, but they also have the ability to target specific organs, cells and enzyme pathways and their effects can be devastating. The soy toxins that Soy Online Service have concerns about are protease inhibitors, phytic acid, soy lectins (or haemagglutins), nitrosamines, manganese concentrations and the mysterious soyatoxin. Nitrosamines are not naturally occurring in soybeans but form during the processing of products such as isolated soy protein (ISP). There is no legislation to protect consumers from soy toxins in raw soy products. With the possible exception of soy lecithin, all soy products, no matter how well treated, contain low to moderate levels of soy toxins; processing cannot remove them all of any of them. The soy industry has little in the way of quality control to protect consumers from exposure to inadequately treated soy products. Perhaps the best known of the soy toxins are the protease inhibitors (also referred to as trypsin inhibitors) which, as the name suggests, are able to inhibit the action of proteases (including trypsin) which are enzymes that are involved in the process of dismantling proteins for use by the body. In the rat, high levels of exposure to protease inhibitors (such as that found in raw soy flour) cause pancreatic cancer whereas moderate levels cause the rat pancreas to be more susceptible to cancer-causing agents. The validity of the rat model to humans has been questioned and the USFDA have examined the effects of protease inhibitors on the Cebus monkey (JP Harwood et al., Adv Exp Med Biol 1986 199: 223-37). After five years of chronic ingestion to low levels of trypsin inhibitors, there was no discernible pancreatic damage effect in monkeys from groups 1-3. However, one monkey in group 4 exhibited moderate diffuse acinar atrophy, moderate diffuse interstitial fibrosis and moderate chronic pancreatitis in all three sections of tissue examined. Minimal lymphoid hyperplasia was noted in the other group 4 monkey. 'Concerns have been raised in the past about exposure to trypsin inhibitors contained in soybeans because these compounds had been found to stimulate pancreatic hyperplasia and hypertrophy in animals. These concerns have been allayed because heat treatment removes most of the activity of these proteases. In addition, recent studies have questioned the applicability of the animal models, which differ from humans in the type of diet, sensitivity of the pancreas to trypsin inhibitors, and the anatomic sites of pancreatic cell proliferation and have found low rates of cancer in populations with dietary patterns that include soy foods' (FR 63, 217:62977-63015, 1998). '"The impression one gets from reading this section is that that there is little cause for concern as far as the human exposure to soybean trypsin inhibitors is concerned.... In the interests of a balanced treatment of the subject, I trust you will give due consideration to the opposing view that the soybean trypsin inhibitors do in fact pose a potential risk to humans when soy protein is incorporated into the diet." So, if there is valid concern about low levels of protease inhibitors in soy foods, what about exposures to levels higher higher than those in the Cebus monkey study? Is there any chance that such exposures could occur in human diets? Soy Online Service has noted that there is considerable variability in the levels of protease inhibitors in commercially available foods and that there is little to protect consumers from exposure to high levels of protease inhibitors. For example, a study entitled 'Trypsin inhibitor levels in soy-based infant formulas and commercial soy protein isolates and concentrates (RW Peace et al., 1992, Food Res Int, 25: 137-141) found that trypsin inhibitor levels were as high as 2.72 mg/g in ready to feed soy formulas and 7.30 mg/g in soy protein concentrate. Don't feed your baby or infant a soy formula; there are alternatives! Avoid the direct consumption of raw or partially processed soy products such as soy flour or soy protein concentrate. Traditionally fermented soy foods are relatively free of protease inhibitors. When preparing your own soy foods, such as boiled or roasted soybeans or soy milk, ensure that they are adequately heated. The traditional Chinese method for preparing soybeans was a time consuming job that was left to monks. It involved soaking the beans first and then boiling them twice over 'the full length of an incense'. The term phytate refers to several compounds that are based on phytic acid (inositol hexaphosphate). It is the presence of multiple phosphates in phytates that makes them effective chelating agents, i.e. they have the ability to bind to certain metal ions. Obviously if metals are bound up in a phytate-complex, they are less available to the body ( i.e. less bioavailable) for nutritive purposes. Phytates are particularly adept at binding metals in their so-called divalent state, metal ions such as calcium (Ca2+), copper (Cu2+), iron (Fe2+), manganese (Mn2+) and zinc (Zn2+). Soybeans contain very high levels of phytate and their are numerous reports of reduced bioavailablity of various metals from foods containing soy; this has particular significance for vegetarians and infants fed soy-formulas. Vegetarians, particularly young women vegetarians, need to be aware that soy products affect their iron and zinc requirements and it has been recommended that they utilise strategies that minimise the intake of dietary phytate. The effects of phytate in soy-formulas are a great concern. The iron and zinc requirements of developing infants are well documented, particularly those that relate to cognitive function. There is no question that infants fed soy-formulas are at greater risk of reduced uptake of various essential minerals compared with breast-fed infants or infants fed other formulas. Copper bioavailability is significantly lower in rhesus monkeys fed low-phytate soy formula from 2 to 4 months. Iron absorption in infants is approximately doubled by the removal of phytate from soy formula; a similar effect is observed by doubling the ascorbic acid content of a soy formula. Manganese absorption is also doubled by the removal of phytate from soy formula, but increasing the ascorbic acid content of a soy formula containing the native amount of phytic acid did not improve manganese absorption. Zinc bioavailability from soy formulas is also reduced by phytate. In rhesus monkeys, zinc absorption was 2.0 times greater from monkey milk compared with soy formula, 2.2 times greater from whey-predominant formula compared with soy formula and 1.7 times greater from casein-predominant formula compared with soy formula. Zinc absorption from dephytinized soy formula was approximately the same as that from casein-predominant formula. Soy formulas are typically over-supplemented with minerals and vitamins to account for the deficiencies caused by phytate, but it is evident that this does not take care of the problems. Removal of phytate from soy formulas is altogether a better solution but manufactures have not shown any inclination do this. Why not? Phytate removal will cost $$$ and it seems to us that soy formula manufacturers consider economics to be more important than the well being of infants. Bioavailability of zinc in milk and soy protein-based infant formulas. Momcilovic B, Belonje B, Giroux A, Shah BG. J Nutr. 1976 Jul;106(7):913-7. Thus, to provide equivalent amounts of available zinc, the total zinc content of the soy protein-based formula would need to be at least 20% higher than that of the formula containing milk protein. concentrate it to an extent that soy-based infant formulas can contain as much as 200 times the level of manganese found in natural breast milk. In babies, excess manganese that cannot be metabolised is stored in body organs. Around eight percent of the excess manganese in the diet is stored in the brain in close proximity to the dopamine-bearing neurons responsible, in part, for adolescent neurological development. Is soy-based infant formula brain damaging? Press Release written by David Goodman, Ph.D.
Abstract Manganese is an essential trace mineral, but high levels are neurotoxic to newborns. Infants fed soy infant formula ingest as much as 80 times more manganese per day than those who are breast fed. Although healthy toddlers, children and adults exposed to excess manganese can usually eliminate most of it, infants cannot because their immature livers are not fully functional. At the same time, their growing brains and other organs are highly susceptible to damage from neurotoxins. This article reviews research showing that neonates exposed to the high levels of manganese present in soy formula are at increased risk for neurodevelopmental abnormalities, including an impaired ability to make the neurotransmitter dopamine and damage to the substantia nigra, caudate, putamen and globus pallidus areas of the brain. These findings suggest that soy infant formula is a likely contributor to the epidemic of ADD/ADHD and other cognitive and behavioral disorders. This paper is a slightly revised and updated version of Chapter 21 from my book The Whole Soy Story: The Dark Side of America’s Favorite Health Food (Publisher: NewTrends Publishing, Inc. (March 10, 2005); ISBN: 0967089751). © Copyright 2005 Pearblossom Private School, Inc.—Publishing Division. All rights reserved. "How safe is soy infant formula?". Cockell KA, Bonacci G, Belonje B. OBJECTIVE: Well-meaning but inadequately informed parents may perceive plant-based beverages such as soy beverages (SB) or rice beverages (RB) as an alternative to infant formula. Manganese (Mn) is an essential mineral nutrient found at high levels in plants such as soy and rice. Excessive Mn exposure increases the risk of adverse neurological effects. METHODS: We analysed, by atomic absorption spectrometry, the Mn content of 36 SB, 5 RB, 6 evaporated milks (EM), 14 soy-based infant formulas (SF) and 16 milk-based infant formulas (MF), obtained from commercial outlets in Ottawa, Canada. RESULTS: SB had the highest levels of Mn (16.5 +/- 8.6 micro g/g dry wt, mean +/- s.d. ), followed by RB (9.9 +/- 1.7 micro g/g dry wt). Mn levels of individual SB/RB ranged from 2 to 17 times the mean Mn content of SF (2.4 +/- 0.7 micro g/g dry wt) and 7 to 56 times that of MF (0.70 +/- 0.35 micro g/g dry wt). EM contained very little Mn (0.02 +/- 0.03 micro g/g dry wt). Calculated mean Mn intakes from SB/RB by infants up to 6 months of age, assuming complete substitution of these products (0.78 L/day), approached the Tolerable Upper Intake Level (UL) for 1-3 year olds (no UL for Mn is available for infants under 1 year of age). Expressed as micro g Mn/100 kcal, SB/RB exceeded the range derived from ULs and typical energy intakes of 1-3 year olds. CONCLUSIONS: SB/RB should not be fed to infants because they are nutritionally inadequate and contain Mn at levels which may present an increased risk of adverse neurological effects if used as a sole source of nutrition. Aluminum and bone disorders: with specific reference to aluminum contamination of infant nutrients. Koo WW, Kaplan LA. J Am Coll Nutr. 1988 Jun;7(3):199-214. Enteral nutrients including human and whole cow milk have low Al, whereas highly processed infant formulas with multiple additives, such as soy formula, preterm infant formula, and formulas for specific disorders are heavily contaminated with Al. However, even with normal renal function, only 30-60% of an Al load from parenteral nutrition is excreted in the urine, resulting in tissue accumulation of Al. To minimize tissue burden, Al content of infant nutrients should be similar to "background" levels, i.e., similar to whole milk (less than 50 micrograms/L). There is a simple explanation of some of the physical effects that can result from a deficiency of this important nutrient at. "Vegans Deficient in Nutrients". If the Moorhead trial judge had known this, would these people now be serving a jail term for the death of their child? Read about the Seventh Day Adventist Moorheads Here and Here. Soy is deficient in Vitamin B1. In extreme cases...as in the one below,where it seems the formula maker ( a Heinz subsidiary) omitted to fortify the formula with Vitamin B1 to compensate for the nutritional risks of consuming too much soy. THREE BABIES HOSPITALIZED WITH BERIBERI Three infants between the ages of five months and a year were hospitalized in Soroka Hospital in Be'er Sheva last night, for fear that they, too, may have been inflicted with the Remedia-B1 syndrome. The number of hospitalized babies in the Remedia case is now eight; 17 instances have been discovered, and three babies have died, including one who died six months ago. The condition of three babies in Schneider Children's Hospital has improved, although a fourth is still unconscious. The Health Ministry issued instructions last night for all parents who have fed their babies Remedia's soy-based milk substitute in the past two months to take them for check-ups. The country's health funds will distribute free Vitamin B1 syrup to babies who need it. The Health Ministry now assumes that the mysterious disease is nothing other than beriberi, a severe thiamine (B1) deficiency, which some feel is a "third world" disease. Beriberi has become very rare in the western world because most foods are vitamin-enriched. However, it can occur in breast-fed infants when the mother has an inadequate intake of thiamine, in infants fed formulas with inadequate thiamine supplements, and in developing countries with limited diets based largely on milled rice. The Remedia formula is not poisonous, but it does not contain the all-important Vitamin B1 - contrary to the list of ingredients on the package. The formula was changed several months ago, but the list of ingredients did not reflect the new composition. Not only did the stock of Remedia's competitor Materna jump 41% yesterday, but the State Prosecution is now considering a criminal investigation against the directors of Remedia. The FDA Consumer article on soy spoke of the possible risks of plant estrogens, but made no mention of the carcinogenic effects of protease inhibitors found in soy. McGuinness et al. report rats fed raw soya flour develop cancer of the pancreas ("The effects of long-term feeding of soya flour on the rat pancreas," Scandinavian Journal of Gastroenterology, 1980; 15:497-502). They say that preheating the flour protected the animals, but others have said that the high heat required (130 degrees Celsius) to deactivate the carcinogenic trypsin inhibitors in soya flour denatures the soy proteins to the point that they become virtually useless. If this is so, one either chooses less heating, resulting in more surviving trypsin inhibitors, or more heating, resulting in useless protein. The soy industry funds millions of dollars of research each year; what chance is there for the discoverers of soyatoxin to get funding to continue their work? incl 45 pages of end note refs. heart (atrial fibrillation). Now 5 times greater chance of stroke! Have you ever wondered about soy? same time prevent and cure all manner of diseases. But what if all you've read about soy is nothing but a multi-million dollar marketing strategy based on scanty facts, half-truths and lies? Most people remain unaware that soy is known to contain an array of potent chemical toxins. The modern manufacturing processes of high-profit industries make no effort to remove these potent toxins. High levels of phytic acid, trypsin inhibitors, toxic lysinoalanine and highly carcinogenic nitrosamines are all present in soy products. males. Infant soy formula has been linked to autoimmune thyroid disease. Soy is linked to infertility, breast cancer, hypothyroidism, thyroid cancer, and many other disorders. increased vulnerability to these drugs, such as cancer patients. daidzein." - True Health, the magazine of Carotec Inc., Naples, Florida. "(Soyfoods) are not nutrients. They are drugs." Dr. L. White, Honolulu Aging Study. le soja non fermenté ? dans les légumes ingérés parallèlement. significative comme lors de la fermentation. troubles gastriques, des déficiences dans l'absorption des acides aminés. Phytates, ils souffrent de rachitisme et de troubles de croissance. élevés d'aluminium dans les produits finis. alcaline génère à son tour une toxine appelée Lysinoalamine. qui eux ont des vertus indéniables, qui s'ajoutent aux qualités gustatives. doutes " paru sur le New York Times du 26 janvier 2000.
ce qui n'est jamais dit : l'extrait de soja est à l'origine un TRES PUISSANT insecticide naturel utilisé en tant que produit industriel. Il a été modifié pour le rendre "consommable" avant qu'on le modifie à nouveau avec les souches OGM actuelles . Je vous invite à lire cet article http://minu.me/6mnx .Il ne faut pas oublier le lait aussi voir plus nocif. on va pas rentrer dans la polémique stérile pro ou contre . Je ne cherche à convaincre personne et que les sojavores continuent comme ils l'entendent avec leur saint aliment béni. C'est d'ailleurs parfaitement précisé dans mon post. Le Dr Seignalet a bien des qualités mais à mon sens argumenté ci dessus le soja est une erreur comme d'autres préconisations dans son "talmud" comme la qualité de l'eau pour ne citer qu'elle mais c'est bien normal quand on a une vision chimico-mécaniste de robot biologique. Comment "structurer" son eau c'est TRES simple et gratuit . anxiety is a possible risk factor for accelerated aging. The study will be electronically published on July 11, 2012 in PLoS ONE. regarding phobic symptoms on a validated questionnaire. additional six years of age. The findings pave the way for further prospective investigations relating anxiety to telomere length change. largest birthing center in New England and employs nearly 15,000 people. educating and training the next generation of health care professionals. information and resources, please visit BWH's online newsroom. not more harmful -- than BPA. endocrine disruption as a result of repeated exposure. printing paper, paper towels, and toilet papers. observed in thermal receipt paper for BPA in earlier studies. exposed to every single day. potentially much more harmful than BPA at altering hormone levels. Bébés OGM c'est fait ! Dozens of Genetically Modified Babies Already Born - How Will They Alter Human Species? own surprise when reading this decade-old piece of news. unpredictable outcomes (Cummins 2001, 2002). without open discussion about the ethical questions associated with it. vous connaissez tous cette sinistre appellation ? Bon , l'herbicide Monsanto "round up" n'est autre qu'un "recyclage" de ce "joyau technologique" de mort . Vitetnam War defoliant Agent Orange. Known to kill or maim at least 400,000 and cause an additional 500,000 birth defects according to conservative Viatnamese estimates, Agent Orange is one of the deadliest concoctions on record. Roundup - glyphosate. These resistant weeds were expected by experts to coverat least 120 million hectares worldwide by 2010.
les dogmes rien de plus difficile à extirper d'un cerveau atteint , désolé "d'insister". ralentir la perte de moelle osseuse post-ménopause. aux consommateurs une longue liste de produits à base de soja. « pâtés de tofu », faisant exploser les bénéfices des vendeurs de soja. Cendrillon alimentaire de l’âge post-moderne. par les plus riches en raison de ses seuls mérites ». des ventes à tous les groupes d’âge de la population ». considéré comme un aliment, mais comme une culture industrielle ! l’action d’enzymes indispensables à la digestion (dont la trypsine). qui entraîne des carences chroniques d’absorption des acides aminés ». dans la régulation du sucre sanguin et protège contre le diabète. carences en minéraux observées dans les pays du tiers-monde. s’exposent à des carences sévères en matières minérales. d’une tasse (230 g) de soja par jour « pour prévenir le cancer ». soja diminue les risques de cancer ». épithéliale, un état qui préfigure la formation de tumeurs malignes. rappelle l’Afssa dans son rapport de 2005.
pendant les jours fertiles du mois pour les femmes désirant un bébé. moment proche de son arrivée vers l’œuf ». présentent des malformations du bec et des os, ainsi que des goitres. un accroissement marqué de l’hormone stimulante de la thyroïde (TSE). tard, une équipe de chercheurs travaillant sous la direction du Dr.
soja dans la formation du goitre. que ces substances étaient bénéfiques, alors qu’il s’agit d’un poison ». endocriniens d’origine industrielle », souligne Emmanuel Grenier. génistéine, sous prétexte que ce phyto-estrogène est naturel ! and In Vivo Data », Nutrition and Cancer, 1994.
to enter the cell cycle », Environmental Health Perspectives,1997. Journal of Urology International, January 2000.
de lait traité à la STB (somatotrophine bovine). Mais faites attention : après avoir lu ceci il se peut fort bien que vous ne buviez plus jamais de lait ! - l’éditeur. cette maladie, on vous décernerait le prix Nobel. pour effet une totale insuffisance en insuline*]. lors de l’analyse de données concernant les enfants diabétiques. [traitement du diabète] 17(12):1488-90, déc. 1994). diabète mellite insulino-dépendant (Norris et Pietropaolo, J. Endocrin. Invest. 17(7):1488- 1490, juillet-août 1994). moins vous êtes ignorant. L’ignorance n’apporte pas la félicité. jouez avec un fusil chargé et puissant. Si vous préférez réexaminer. Lettre 115 : Roy Oestensen, Norvège, 16 janvier 1998.
commentaires sur les dangers du lait. trouve certains taux les plus élevés de diabète et d’ostéoporose. Est et Ouest d’Oslo, capitale de la Norvège. Américains, et 17,79 femmes sur 100 000 sont mortes d’un cancer du sein. pour le taux de cancer du sein ? Il est de 17,98 femmes pour 100 000 ! sont pas les mêmes ! de pasteurisation s’il fonctionne si bien ? Réponse ? qui continuent à se développer. immunodéficitaire bovin. Le docteur Hulse a été inspecteur laitier et est un des experts les plus réputés en Amérique sur ce sujet. hormones de croissance non détruites par la pasteurisation. LE LAIT, BON POUR LES ENFANTS ... VRAIMENT ? de colite, d’otites, de rhumes et de congestions chez les jeunes enfants. Une recherche récente du site Internet NOT MILK (en anglais) nous fait ouvrir les yeux. bactéries, des virus et bien plus ! Par le passé, la FDA (Food and Drug Administration) ne permettait qu’une petite quantité d’antibiotiques dans le lait. Les chercheurs du FDA reconnaissent que les consommateurs ne devraient pas boire de liquide qui contient des antibiotiques. leurs animaux avec des niveaux de plus en plus élevés d’antibiotiques. Cette hormone est identique chez les vaches et chez les humains. ans ont été diagnostiquées comme souffrant d’arthrose et d’ostéoporose. liste des causes de l’ostéoporose. femme Américaine sur six va développer un cancer du sein.